There are some TV shows and films which somehow manage to seep into the public consciousness, whether you ever watched them or not. Â A good example of this is Fame, a film (and later TV show) that was about the staff and pupils at New York City High School for the Performing Arts, and which was around for most of the 1980’s. Now, I fit firmly into the “didn’t watch” group, yet somehow I still remember a fair bit about the show. Â OK, I probably saw the odd bit of an episode here and there, but I never actually purposely watched it, so how come it sticks in my mind so well? I think there are many reasons, most of which come from the TV series rather than the film, but I’ll start with the biggest reason, the theme music. 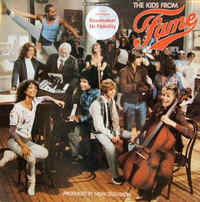 Â The title track, called simply Fame, was originally sung by Irene Cara for the film, and later by Erica Gimpel, Â for the TV series. Â Gimpel played the part of Coco Hernandez in the TV show. Â This song was a highly bouncy and energetic song with the chorus proclaiming “Fame! Â I want to live for ever, I want to learn how to fly!“, words which will no doubt be familiar to many as the track performed well in the charts at the time. There were also many memorable characters, such as Leroy (Gene Anthony Ray, who died in 2003) the athletic dancer (always pictured doing the splits in mid air), Bruno the keyboard player, the aforementioned Lydia Grant and Mr. Shorofsky the white haired music teacher. Â The cast was a diverse mix of racial groups all working in harmony, which even in the early 1980’s was an unusual occurence in a film or TV show. Another reason the show became so well known was because many comedy shows used it as the basis for sketches. Â The fact that the kids would suddenly break into a fully choreographed song and dance number at least once every episode was used by many comedians as a comical reference. Finally, the show also had further media exposure as the songs from the show were released as both singles and albums, with the tracks Hi-Fidelity and Starmaker being particularly popular in the UK charts. 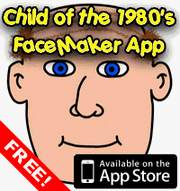 So, as you can see there are many reasons why it made such an impression, and as with a lot of old eighties shows Fame is due to make a comeback with a new movie currently in production. Â Fittingly, Debbie Allen is to return as Lydia, although now she is the head teacher at the School of Performing Arts. This entry is filed under Films - Teens, Music, TV - Teens	and was posted on March 13th, 2009. You can follow any responses to this entry through the RSS 2.0 feed. You can leave a response, or trackback from your own site.